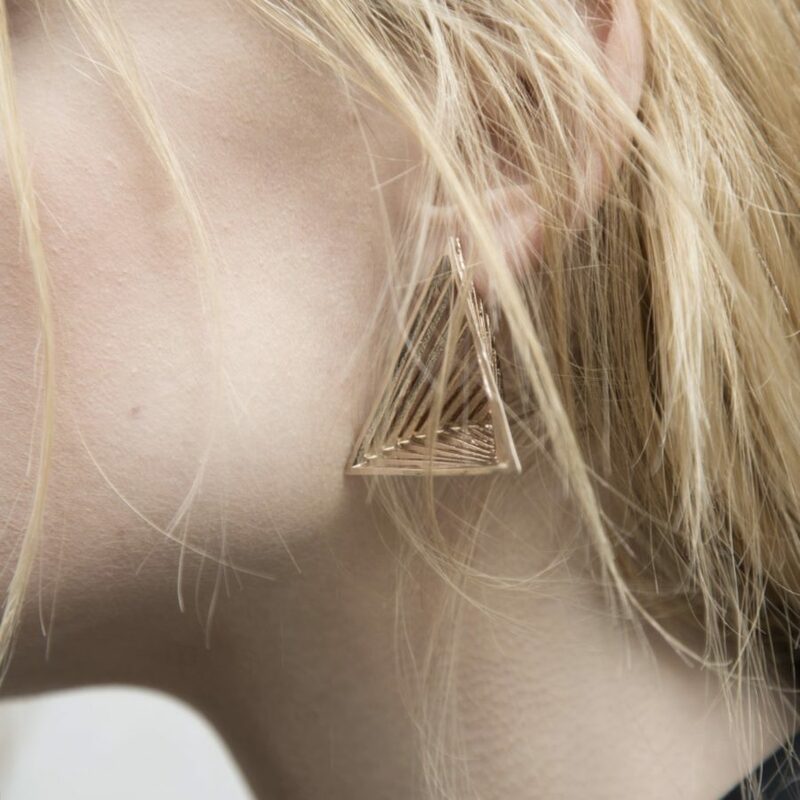 This linear and aerial-shaped jewelry collection is inspired by an extensive study on perspective, its vanishing points and optic cones. 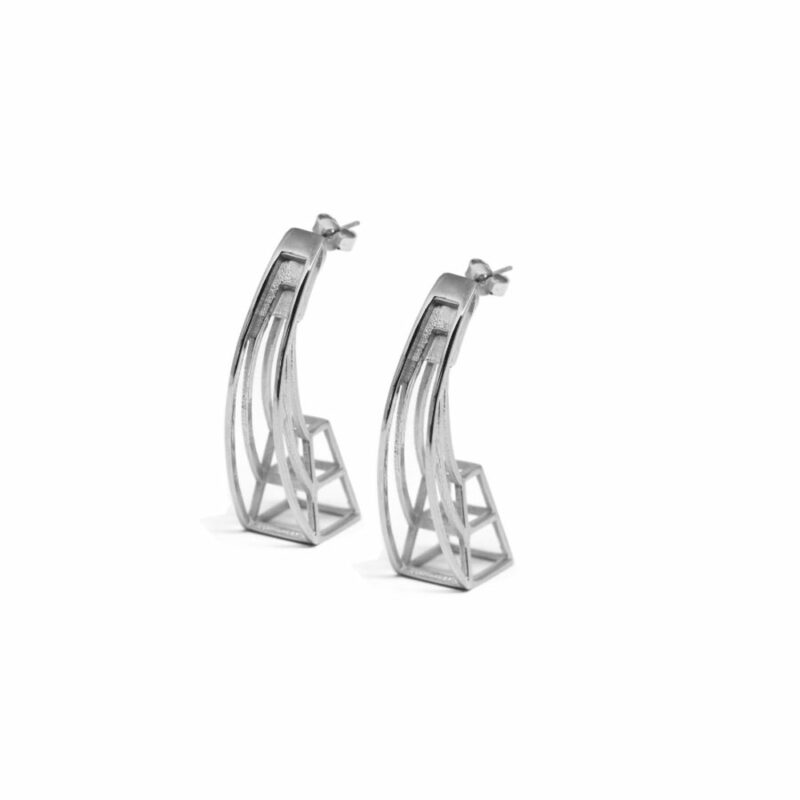 Find how they impact on the creation of spaces in such perfectly handcrafted and small jewels out! 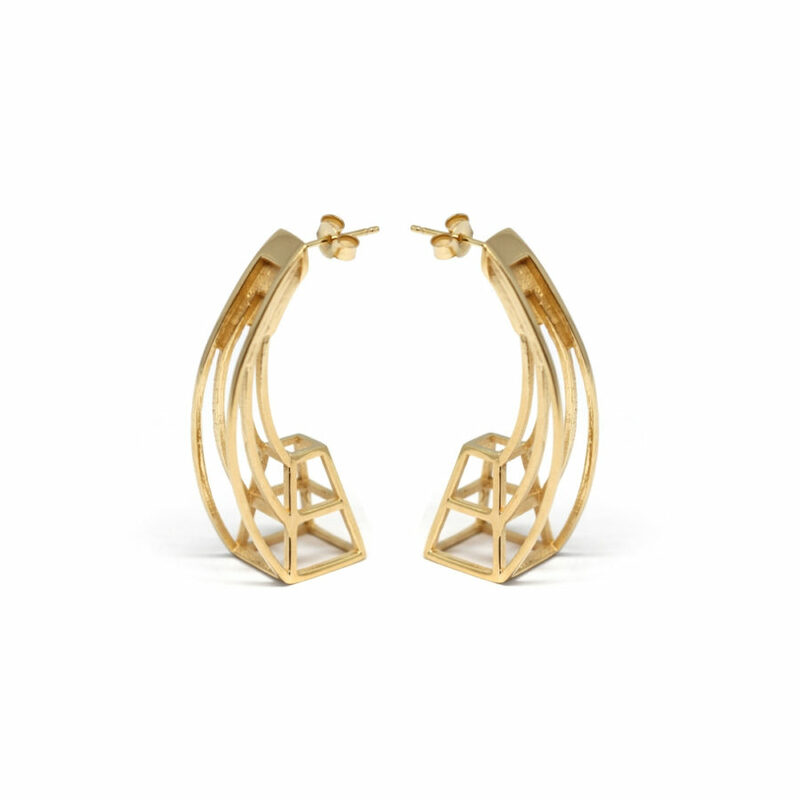 Inspired by the Baroque architect Francesco Borromini’s forced perspective in Palazzo Spada in Rome, our Prospettiva earrings in gold plated bronze take it cue from the technique of representing spatial relationships of objects on a flat surface. 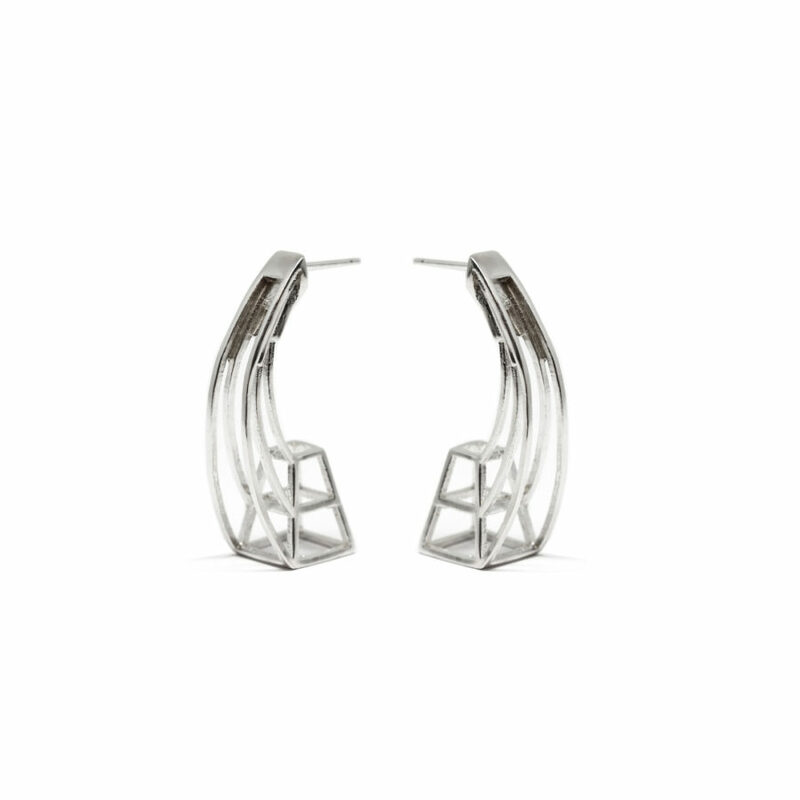 Inspired by the Baroque architect Francesco Borromini’s forced perspective in Palazzo Spada in Rome, our Prospettiva earrings in 925 silver sterling take it cue from the technique of representing spatial relationships of objects on a flat surface. 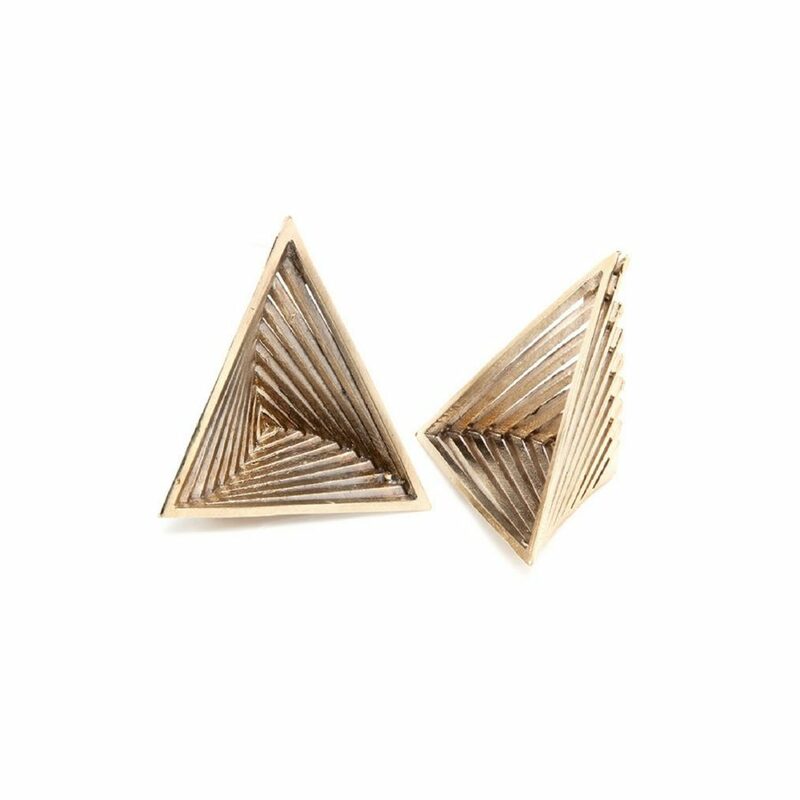 Inspired by the Baroque architect Francesco Borromini’s forced perspective in Palazzo Spada in Rome, our Prospettiva Vortex earrings in gold plated bronze take it cue from the technique of representing spatial relationships of objects on a flat surface. 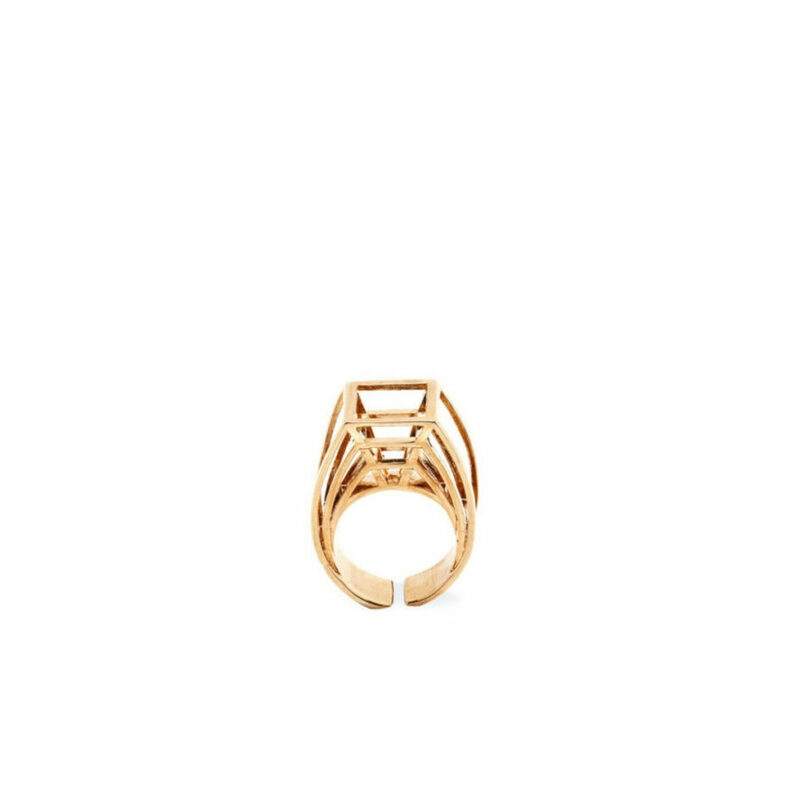 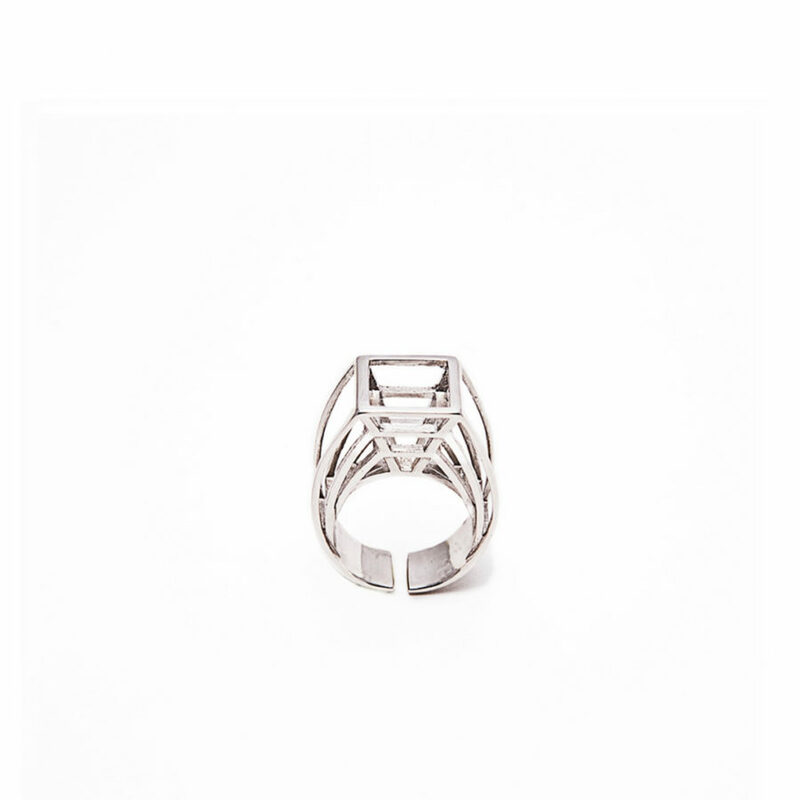 Inspired by the Baroque Perspective Palazzo Spada of Rome, Prospettiva ring in gold-plated bronze is realized with the innovative 3D printing technique.